Ginsburg will be wearing a costume created especially for her by the Washington National Opera, including a big, feathery hat suitable for a doyenne or a duchess. Ginsburg has had a lifetime love affair with opera. She often lectures about the law in opera and has said that her one regret in life is that she could not be a real operatic diva. She might have tried, she says, but for one thing: She can't sing. 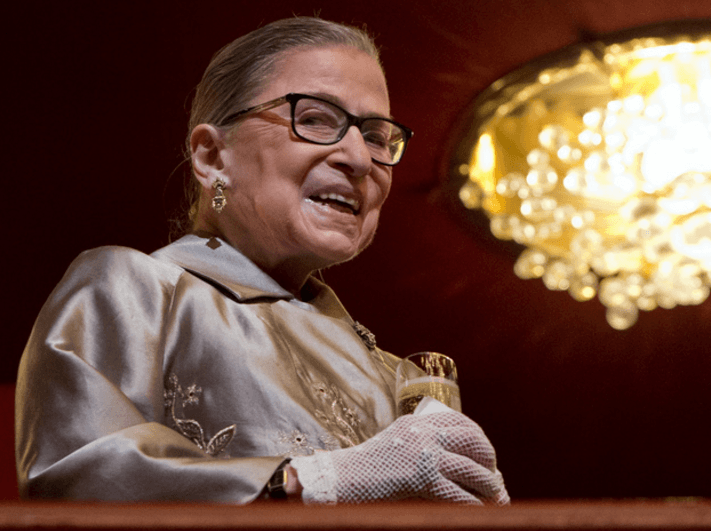 Washington National Opera Artistic Director Francesca Zambello initially asked Ginsburg to play the Duchess of Krakenthorp in all eight performances at the Kennedy Center this fall, but the justice said she really could not have "a day job and a night job." So, she will be keeping her day job, and working the night shift only on opening night, Nov. 12. "What's to be nervous about?" the justice declares with a giggle. After all, she doesn't have to sing.